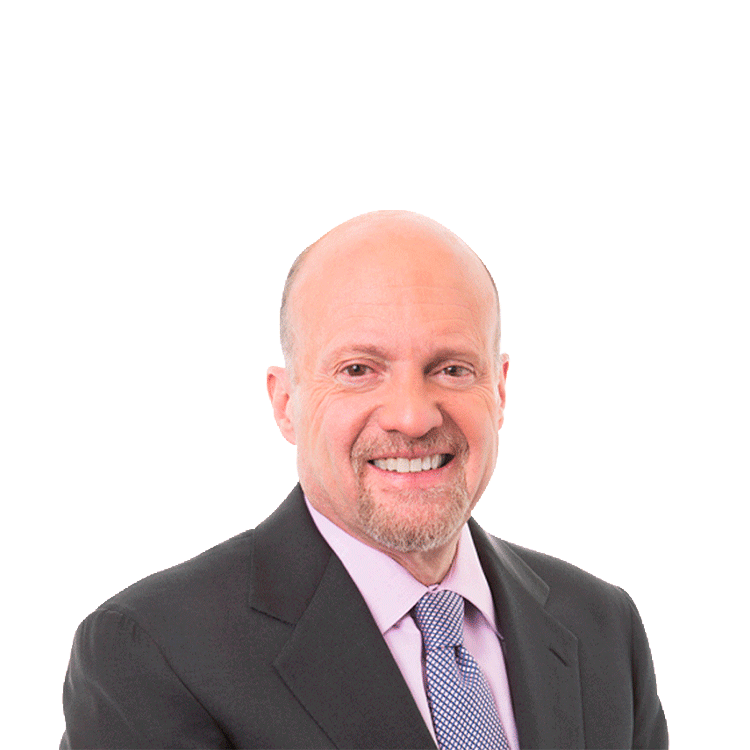 Jim Cramer shares his views on mutiny from the orthodoxy. Adobe, Salesforce and Broadcom are among the stocks discussed here. Where are the deals in the oil patch? We keep waiting and waiting. Stocks drift down that have all of these assets. They sell for a fraction of what they once did. Where are the opportunistic companies, the ones with the cash and the fabulous balance sheets? What the heck are they waiting for? The answer: They aren't waiting. They simply don't care. Why? Steve Chazen, Occidental Petroleum's (OXY - Get Report) outgoing CEO, said it best when we asked him about why there have been no deals of any consequence since the downturn. First, the asset quality of most of the companies with stocks on their butts is poor. "They have break evens, maybe at $80 oil," he said. "Nobody needs to pay $80 breakeven oil properties." How true. Rusty Braziel, my most trusted authority on oil and author of The Domino Effect, said of the shale revolution in this country that only a dozen counties actually produce oil at any real profit at these prices. Needless to say the distressed companies do not have assets in those counties. Second, Chazen says the down-and-outers "have lousy balance sheets, so if you buy them you're stuck with lousy balance sheets." An outfit like Action Alerts PLUS holding OXY, which has among the best balance sheets in the industry, could refinance high debt at low prices. But why bother if the prospects aren't any good anyway? Third, he says, "there's lots of optimism still by management that it's going to be okay in six months, if they can just make it." This is dead right. I cannot believe how optimistic most oil people are about oil making a big comeback in a short period of time. It is true that there's a lot of falloff in U.S. oil, and that we could be producing a million fewer barrels next year than the approximate 9 million barrels a day we currently produce. Others, noticeably Iran, are making up for it. But oil men in this country seem almost surreally optimistic that oil can double in a year's time. It's just not going to happen. Finally, Chazen points out that, unlike mergers in most industries, the "synergies and combination of exploration and production companies are really low." Therefore, he says, the deals are awfully hard to explain to shareholders. Now we hear a lot about how producers are getting together at a meeting on Apr. 17 - perhaps to resolve some sort of freeze. I think the endless self-serving chatter from each individual oil minister has been responsible for a lot of the movement higher in oil by suggesting that some deal can be reached. To me, it is almost an impossibility. There is no OPEC any more. There is no restraint. There's just the Saudis pumping like mad to wreck our shale industry and the Russians pumping like crazy to meet budget needs post-Ukraine-sanctions, and Iran and Iraq going nuts producing because of a critical need for cash. Put it altogether, and what I think you have is a situation where strapped producers will sell oil above $40 at a loss just to generate some cash flow to pay debts. That will drive oil back into the $30s as it yo-yos to and fro, although I doubt it gets back to $26, the low earlier in the year. And Occidental? It's in the catbird seat, with an amazingly strong balance sheet, an easily affordable dividend and, best of all, a major of those counties that can produce lucrative oil at these prices. So, don't speculate on the broken-down stocks. There will most likely be no buyers. Go for the highest quality. That way you can win if oil goes lower or if it goes higher, and that's the best calculated risk in the entire oil and gas complex. At the time of publication, Action Alerts PLUS, which Cramer co-manages as a charitable trust, was long OXY. That line from Bob Dylan's "My Back Pages" keeps bouncing through my head when I go over the charts because the winners are so confusing, confusing to the point that it's a mutiny from the orthodoxy to which we've all become so accustomed. Second nature's not working. Maybe, I was so much older then and I have to be younger than that now. Where are the confusion boats? Let's start with the obvious: the three strongest sectors in this market are the companies integrally involved in construction, both domestic and commercial, and the consumer packaged goods and utilities. That's the mutiny from orthodoxy writ large, the idea that we could be so bipolar that some would think we could be in a construction boom while others think a recession is around the corner. What can explain it all? It's possible that interest rates are so low and credit is freeing up enough that there's building going on. We know residential's been strong for some time. That's what Home Depot's (HD - Get Report) stock has been saying and now, even after that foray into Canada, the trend is strong enough to capture Lowe's (LOW - Get Report) , too. You see the strength in Whirlpool (WHR - Get Report) , now aided by a bizarrely strong Real for that atavistic Brazilian business. But also it's in Masco (MAS - Get Report) and Stanley Black & Decker (SWK - Get Report) , Weyerhaeuser (WY - Get Report) , RPM (RPM - Get Report) , PPG (PPG - Get Report) and Sherwin-Williams (SHW - Get Report) , although the latter could be all about the coming Valspar (VAL consolidation. I have been so impressed with Briggs & Stratton (BGG - Get Report) and the spring selling season could be great for outside-the-house fixer-upper products. Leggett & Platt (LEG - Get Report) and Fortune Brands Home & Security (FBHS - Get Report) aren't quitting any time soon. You get the sense that the homebuilders are really starting to fire on all cylinders again. How else to justify the strength of aggregate companies like Martin Marietta Materials (MLM - Get Report) , Vulcan Materials (VMC - Get Report) and Waste Management (WM - Get Report) , which really is a play on residential construction. But it's the commercial part that's intriguing, because it's new. Grainger (GWW - Get Report) , Fastenal (FAST - Get Report) , Illinois Tool Works (ITW - Get Report) , Nucor (NUE - Get Report) --even after it preannounced to the downside for the bazillionth time -- and all the commercial heating ventilation and air conditioning companies. Could it, at last, signal that we have worked our way through the office building boom and bust that was integral to the Great Recession? Tough to tell. It sure isn't new shopping malls or centers. The REITs in that sector aren't building much at all. I have to believe that commercial construction's nascent, but growing. Then there are those confusion boats of consumer packaged goods. It's hard not to find one on the 52-week high list: Campbell's (CPB - Get Report) , Church & Dwight (CHD - Get Report) , Coca-Cola (KO - Get Report) , Colgate (CL - Get Report) , ConAgra (CAG - Get Report) , Constellation Brands (STZ - Get Report) , Estee Lauder (EL - Get Report) , General Mills (GIS - Get Report) , Hershey (HSY - Get Report) , Kimberly-Clark (KMB - Get Report) , McCormick (MKC - Get Report) , Molson (TAP - Get Report) , PepsiCo (PEP - Get Report) , Procter (PG - Get Report) and Smucker (SJM - Get Report) . I find myself reconciling that these aren't recession stocks. They are plays on deflation still so prevalent in the commodity complex. It gives you some solace to see Tyson (TSN - Get Report) in the group. After all, that's just a raw bet on the agriculture complex coming down. One thing's for certain, even though the utilities are flying strong, the best of the consumer packaged goods stocks right now are no longer in the bond market equivalent territory. The best of the best, arguably, are the ones with the most exposure to overseas -- wagers that the weaker dollar is at last upon us. If that's the case, then why the retreat to the domestic security of the utilities? Maybe that's just the Fed green-lighting natural, and therefore low, rates. You got a better explanation if construction is strong? I sure don't. The other patterns I see? They are portfolio default winners, a desire of portfolio managers to have faux financials and faux health care because of the endless and enduring underperformance of net interest margin starved banks and politically bereft drugs and biotech. The former always seem to propel the usual cast of benign, but growing, characters: Fiserve (FISV - Get Report) , MSCI (MSCI - Get Report) , Morningstar (MORN - Get Report) , Equifax (EFX - Get Report) -- what a perennial winner that is -- as well as all of the insurers. Chubb (CB - Get Report) remains my favorite, with Travelers (TRV - Get Report) a close second. Cincinnati Financial (CINF - Get Report) , Progressive (PGR - Get Report) and AON (AON - Get Report) are tiresomely can't-miss names. In health care it's the default-to-device theme that endlessly prevails: Boston Scientific (BSX - Get Report) , Bard (BCR , Zimmer Biomet (ZBH - Get Report) and Stryker (SYK - Get Report) . The latter two always feel like takeover names. As always, I am most impressed with Edwards Lifesciences (EW - Get Report) , with that device that allows cardiologists to perform open heart surgery without cracking the chest cavity, perhaps the greatest innovation since Intuitive Surgical's (ISRG - Get Report) Da Vinci machine -- or at least the charts seem to say. Finally there's the high-growth stocks as always that stand out: Adobe (ADBE - Get Report) and Salesforce (CRM - Get Report) in software, Broadcom (AVGO - Get Report) , Lam Research (LRCX - Get Report) and the always-undervalued Texas Instruments (TXN - Get Report) . Facebook (FB - Get Report) and, of course, Alphabet (GOOGL - Get Report) always amaze, and new stocks Flextronics (FLEX - Get Report) and Accenture (ACN - Get Report) are breaking out nicely. But I keep coming back to those confusion boats and perhaps the notion that there is no mutiny, just harmony among those who think things are great and those who think they aren't and maybe never will be. At the time of publication, Action Alerts PLUS, which Cramer co-manages as a charitable trust, is long FB and GOOGL. At the time of publication, Action Alerts PLUS, which Cramer co-manages as a charitable trust, is long OXY, FB and GOOGL.